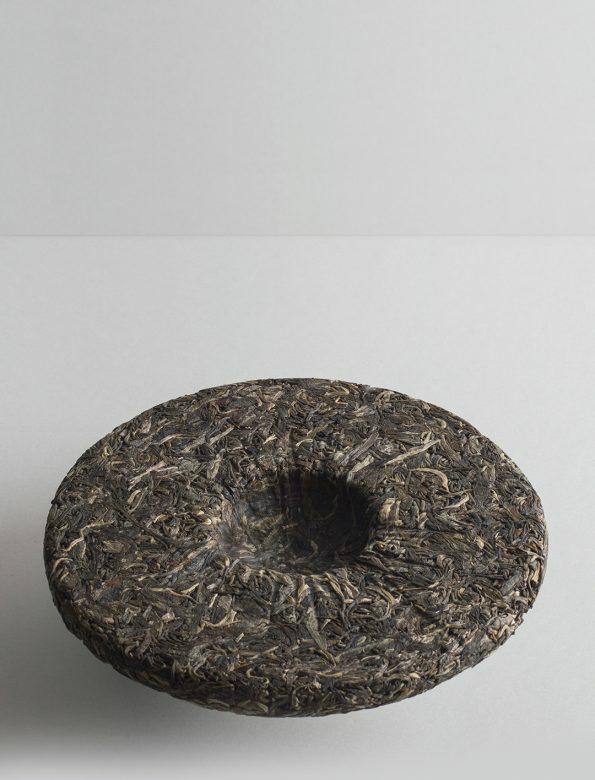 A fresh spring-harvest puer containing many fine buds (ya, 芽). The tea’s basic character is dominated by a blend of citrus and lightsome greenness, and is supplemented by a deep, flowery fragrance. It has kind and relaxing chaqi. Da Xue Shan (大雪山), that is Big Snowy Mountains, is located in the northern part of Yunnan province. Due to the northerly climate has an interesting effect on the teas: they tend to have a fresher, more fragrant character that differentiates them from their southern relatives. Our friends here pay extreme attention to the process of making the teas. Even for the shortest steps of withering, the cover the leaves with gauze so that they stay clean and unharmed by bugs and insects. This care echoes in the superb quality of every tea they sell. Water temperature: 75-80ºC. From fresh, spring water or filtered water.